Amid a roiling debate in North Carolina over Medicaid expansion, one U.S. state has opted for a partial expansion. 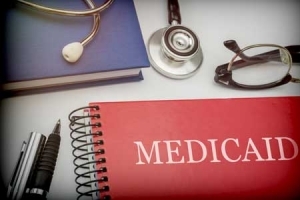 Last week, the Centers for Medicare and Medicaid Services (CMS) approved Utah’s 1115 Medicaid demonstration waiver, which would introduce partial Medicaid expansion and, with it, no enhanced federal match funds. While the Affordable Care Act (ACA) provides an enhanced federal match rate of 90 percent beginning in year 2020 and each year thereafter for states that choose to expand, states must expand coverage to individuals up to 138 percent of the federal poverty level (FPL) in order to receive the higher match. As a result of its limited expansion, Utah’s Medicaid match will remain at its existing federal rate of 68 percent, foregoing nearly $1.5 billion in federal funds during the first two fiscal years alone. It is likely to result in overall budget losses for the state. In November, Utah voters approved full Medicaid expansion, up to 138 percent FPL, via a ballot measure that would provide coverage to approximately 150,000 newly eligible individuals in the first year. However, the following month, the Utah legislature ignored the will of voters by passing a bill which would only extend coverage up to 100 percent FPL. The bill was signed into law in February 2019, and it includes plans to submit additional waivers in phases that will implement additional barriers to coverage – including work reporting requirements, per capita enrollment caps, and lock-out periods – in addition to requesting higher federal match rates. Utah’s partial Medicaid expansion will leave more than 40,000 adults – those between 101 and 138 percent FPL – without Medicaid. While these individuals are eligible for coverage and subsidies in the ACA Marketplace, deductibles and out-of-pocket costs would prove a significant financial barrier to coverage and may result in those individuals foregoing insurance altogether. Utah’s partial expansion not only leaves a coverage gap, but it fails to take advantage of the federal dollars available to increase affordable coverage for individuals with low incomes. Instead the state could fully close its coverage gap, reap the state budget benefits of full expansion, reinvest in its communities, and boost the well-being of families. Suzy Khachaturyan is a Policy Analyst with the Budget & Tax Center, a project of the North Carolina Justice Center.